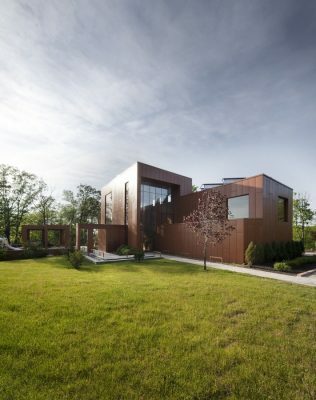 The design of the residence had to meet three important challenges: architectural reconciliation of a Mexican inspiration in a Quebec context; exploration of a prototype house with predefined materials; and the objectives of LEED® Canada certification. The living spaces traverse, overlook, and gravitate around the patio, a large volume in which the effect of vegetation and a body of water is magnified through optimization of fenestration and the building’s orientation. 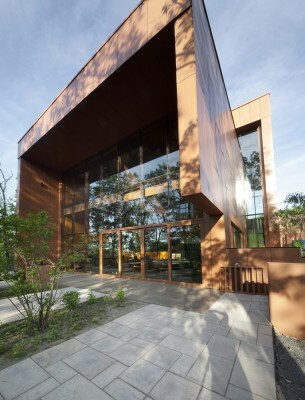 The volumes have irregular contours to control sunlight and views; solar gain is maximized. The use of many prefabricated materials, insulating formwork, and the prefab fibre cement panels made it possible to develop durable assemblages and considerably reduce waste. 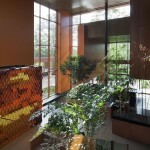 The residence’s main energy sources are geothermy and thermal solar collectors. Alone, these sources heat the residence, the domestic water, and the indoor and outdoor pools. The masterful use of materials, combined with technical strategies, resulted in exemplary efficiency, an Energuide 92 rating, and airtightness at three times the norm. The landscaping emphasizes soil permeability, erosion control, and indigenous vegetation. 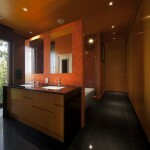 This residence obtained LEED® Canada for Homes certification. 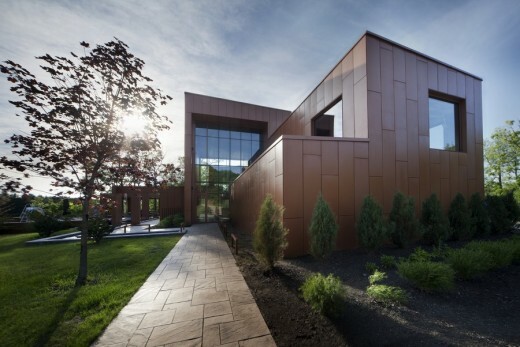 Architects: Blouin Tardif Architecture Environnement Inc.